"Just heard the bouncers on door say 'his crowd are like footy fans there gonna be rowdy' #toofuckinright #modkanearmy #haveiiiiiiiit" tweets Miles before the show. And he ain't half wrong as I make my way down to the main floor through the sea of paisley shirts, avoiding the impending doom of standing on someones brand new loafers. It's nice for once to not be the oldest here. With the crowd varying from teenage students to middle aged men who've left the wives at home it's clear to see just how far widespread Miles Kane's fan base is. As the lights finally dim it would seem walking out to an Oasis track at Bristol's O2 Academy is seen as the norm for bands of a similar vein. 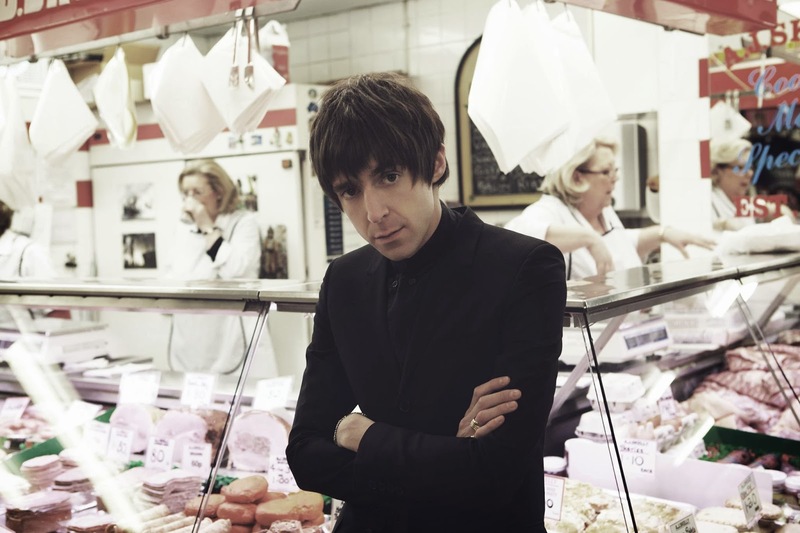 Morning glory in Miles kane's case, Rock 'N' Roll Star for the Courteeners a few years previous. There's nothing quite like it to get the crowd pumped (as if they needed any more encouragement). As the flurry of flashing strobes and the words 'Miles Kane' become illuminated on the backdrop the band swagger on to the stage with a definitive confidence. Kicking things off with Bombshells, You're Gonna Get It and Taking Over in a 1-2-3 hit the band power through as high energy of intros as one could imagine. 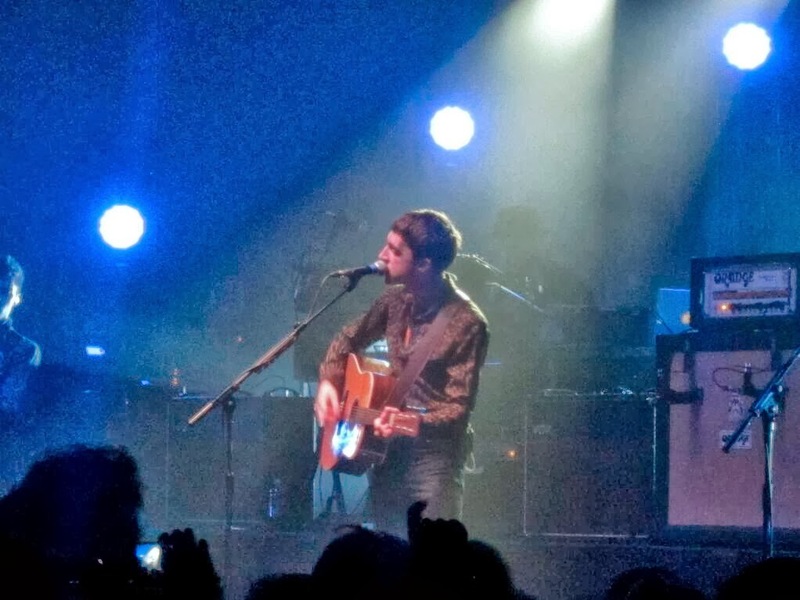 The Wirral-born former frontman sure knows a thing or two for creating an atmosphere. Working his way through two fantastic albums with a killer set list tonight was always going to be an unforgettable performance. As the band smirk amongst each other on stage with grins on their faces it's clear to see they're enjoying themselves just as much as the audience. And as the lights come up illuminating the packed out venue you get a true sense of how everyone is moving together as one giant force ingrained by this infectious sound. And what's more infections than Quicksand's joyous tones and upbeat melodies as the crowd jump around in a frenzy. The pace was expeditious throughout, only really slowing for the sultry rhythms of Take The Night From Me dedicated to a female friend in the crowd followed by My Fantasy. As everyone caught their breath it wasn't long before Miles took the pace back up once more moving in to Tonight from his second album 'Don't Forget Who You Are'. As he goes on to kick off some friendly rivalry between the balconies and centre stage crowds in a cheering contest (the centre stage the obvious winners) Kane teases shouting "Do you like a riff Bristol" as he breaks in to the biggest crowd pleaser of the night, Inhaler. It's safe to say it goes off every time I've seen him play it live and tonight is no different. As a long time fan of Miles through his The Last Shadow Puppets & The Rascals days to his much accredited solo career it's been fantastic to see him grow as a musician and his song base expand to what it is today. If you were lucky enough to gain tickets to his homecoming gigs at Liverpool's legendary Eric's on Friday 6th & Saturday 7th December 2013 then you're in for a treat indeed. Miles Kane's second album 'Don't Forget Who You Are' is out now.